Home » Biography » Was Don Quixote Kafka’s Alter Ego? Was Don Quixote Kafka’s Alter Ego? In Miguel de Cervantes’s satirical romance Don Quixote , Sancho Panza is a servant to Alonso Quijano, a retired country gentleman who, after suffering from a stroke of madness, turns himself into a chivalrous knight-errant and his servant into his squire. Yet, in Kafka’s parable the roles of the two characters are visibly reversed – Sancho Pansa is the creator of Don Quixote, who on the other hand becomes his ‘devilish’ projection. In Kafka’s text “Don Quixote’s prospective victim actually frees himself from his tormentor by means of an extraordinarily cunning contrivance: he nourishes his devil with romantic tales of chivalry and secedes in diverting him from his true object. Pansa is able to turn Quixote into a harmless idiot, whose deeds, moreover, provide an endless source of entertainment for Pansa till the end of his days.“ (Richard T. Gray, A Franz Kafka Encyclopedia ). 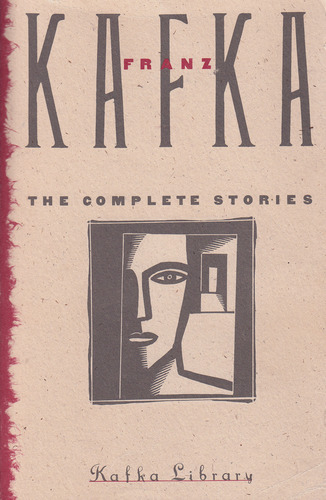 It is speculated that the character of Sancho Panza represents Kafka himself and that the parable is a kind of “commentary on Kafka’s understanding of his own literary production… According to this reading, the cunning of Kafka’s art is related to the cunning of Sancho Pansa, who cleverly splits off and fictionally objectifies a part of his own person, whom he calls Don Quixote, thereby freeing himself from the torments to which this “devilish” aspect of the self otherwise subjects the writer” (Gray). This interpretation suggests that Kafka’s Don Quixote is Sancho’s alter ego, created for the purpose of the latter’s inner liberation. The split between Kafka’s inner and outer personas, yet a harmonious coexistence of the two, resembles the partnership of Sancho Panza and Don Quixote. One of these literary characters represents reality, the other – fantasy and, as noticed by Freud, as much as they discriminate against each other, they also form a durable partnership. One carries the other into the world of grand adventures, whilst at the same time being tamed by his companion. Perhaps Kafka felt this way about himself. Perhaps his inner Sancho was more of a master rather than a squire to his outer Don Quixote. Perhaps this parable refers to something completely different. But among so many ‘perhaps’ there is one sure thing – the parable is as ‘kafkaesque’ as any of Kafka’s writing could be. Very interesting, as usual! You may like a fun little kafkaesque story written by a gifted writer at PiggspittleOhio.com. She calls the piece The Consultant, and it’s easy to find on her blog.